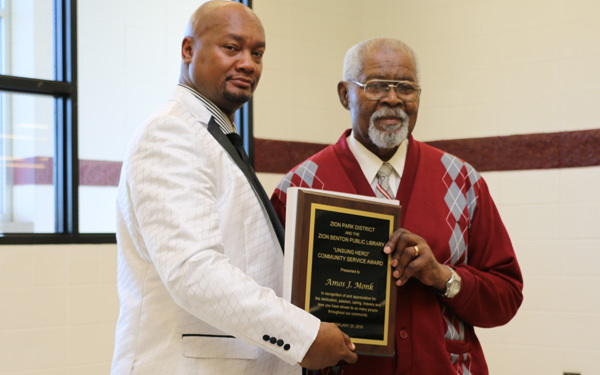 The Zion Park District in partnership with the Zion-Benton Public Library hosted the 26th Annual Black History Program on February 20, at Zion-Benton Township High School. Over 400 people were in attendance. The event honored everyday people, teachers, minsters, community activist, and so many more dedicated to making our community a better place to live, work, and play. 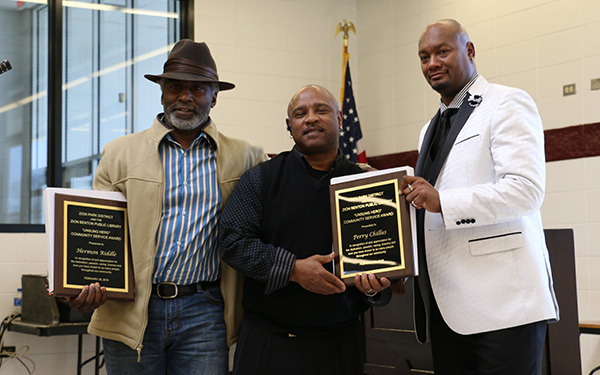 Recipients were acknowledged with an award naming them as an “Unsung Hero.” Among the recipients were: Perry Chillus and Herman Riddle, two of the first supervisors at Hermon Park Center when it first opened in 1975. Also, Amos Monk, former City of Zion Commissioner. David B. Osborne Sr., Hermon Park Center Director, was also awarded for his outstanding community service to the ZB community. The audience was treated to singing, dancing, poetry, drill performance, and a wonderful lunch.